Share the post "5 (Foodie) Travel Tips for Visiting Portugal"
This is a guest post by the talented Emilia Reid. Read more about her at the end of this post. 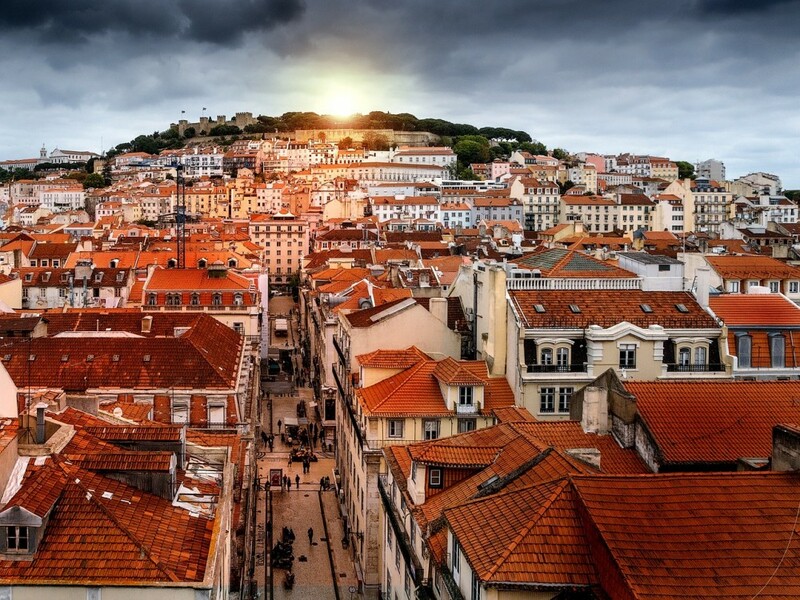 Planning for a trip to Portugal? Lucky you! The Portuguese are always ready to welcome you with a large variety of food and drinks that will certainly make your stay more enjoyable and memorable. In case you don’t know where to begin, I’ve gathered 5 foodie travel tips here to help you prepare for your holiday. You can thank me later! A person who visits Portugal but does not taste its famous wine is just like a visitor who visits the Louvre and skips the Mona Lisa. Portugal is especially well known for Port wine, a sweet and decadent treat that works perfectly as a dessert on its own. It comes from the Douro River region, where it receives its characteristic taste. It is most often enjoyed as a digestif (aka after the main meal), given the fact that it is so rich and sweet. Madeira wine, similar to Port in its sweetness, is another very popular wine in Portugal that is made on the island of the same name. Portugal is also becoming popular for Vinho Verde wines and, to a lesser extent, reds and rosés. However, it is Port wine which is most characteristic of the country, and probably the one you should ensure that you try when you are in the country. Another must try is the Pastel de Nata, or custard tart. This is one of Portugal’s most delicious delicacies! To try one of the most famous varieties, head over to the Pasteis de Belém shop in Lisbon, in which they are snapped up by eager customers as quickly as they can be baked. You may be surprised to learn that this delicate pastry was invented not in a bakery but in a monastery. Later they sold the recipe to a group of people who founded the famous pastry shop Pasteis de Belém, and it subsequently become synonymous with Portugal and Portuguese culture. They are savoured at any time of day with a cup of coffee and, while the recipe is deceptively simple, it is rumoured that only three of the top chefs know the secret method for making these tarts. And no, it isn’t to save your waistline. In most of the restaurants in Portugal, waiters may bring you a little dish with bread, olives and cheese before your order arrives. However, be aware – they are not free. So if you are worried about budget, just avoid those dishes and politely decline them as they are served. Our suggestion is to buy a guidebook to help you to learn about some of the little customs such as this that may be different in your own country. This way you will avoid unnecessary embarrassment when the bill arrives, and save some pennies! As a country blessed with a beautiful coastline, Portugal can wow visitors with all of the fresh seafood and fish available in most restaurants. You will find many varieties of fish everywhere throughout the country, which the locals are very proud of. For example, Bacalhau (cod in English), sardines, and sea bream are very common to find in restaurants. Cod is by far the most popular fish in Portugal, and one could even make the claim that it is the national fish. It is utilised in many portuguese staples such as the bolinho de bacalhau (it is also very popular in Brazil, which has many Portuguese influences!). This is a fried salt cod fritter which is often eaten as an appetiser or in the tapas style, perhaps with a beer to wash it down! One thing that you should when you visit any country you visit is try the traditional dishes. It does not have to be haute cuisine, and you do not have to pay Michelin star prices to get them. We are simply talking about family dishes, the type that would be eaten by any family and cooked by any mother in Portugal for her children. One delicious option is the cozido à portuguesa, which is a hearty dish made from a variety of meats, including beef, pork and chicken and some veggies for good measure. Vegetarian it is not! Another specialty is the francesinha, which is a kind of Portuguese variation of the French Croque Monsieur. It is a sandwich stuffed with a variety of meats, a fried egg, and is then covered in a cheesy sauce and served with fries. Some food in Portugal is almost unbelievably sinful! As you can see, Portugal has a lot to offer for every food-lover, from the almost delicate and petite pastel de nata to the almost sinful francesinha, most palates will be pleased with the food on offer. What’s more, there is a variety of dishes that is perhaps unrivaled by other countries, what with the array of fresh fish and Portuguese wines. About the author: Emilia is a freelance travel writer, originally from the UK. She publishes for some of the top travel websites around the world, and writes about everything from hidden gems to luxury hangouts. Emilia is currently writing for Travel Department.